A no-deal Brexit could cause disruption to air travel between the UK and European Union countries, the government warned on Monday. This worst-case scenario is set out in the latest batch of documents outlining what what would happen to key industries if no agreement is reached. Bus and coach services to EU countries could also be suspended in the event of no deal. 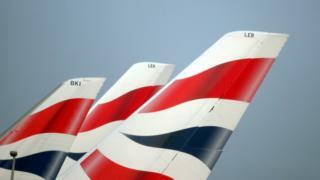 The government wants the EU and UK to accept each other's aviation standards. However, the EU has not yet done so and will stop recognising UK safety standards if there is a hard Brexit. "If the UK leaves the EU in March 2019 with no agreement in place, UK and EU licensed airlines would lose the automatic right to operate air services between the UK and the EU without seeking advance permission," the government said. The UK "would envisage" allowing EU airlines to continue flying and "we would expect EU countries to reciprocate in turn", according to the document. It added: "It would not be in the interest of any EU country or the UK to restrict the choice of destinations that could be served, though if such permissions are not granted, there could be disruption to some flights." The warning does not necessarily mean that flights would be grounded the day after Brexit. According to Airlines UK, which represents 13 UK-registered carriers, the European Commission has said it would put in place a "bare bones" aviation agreement with the UK to keep planes flying and to cover safety issues. Tim Alderslade, the trade body's chief executive, said airlines expected the EU and UK to reach a new agreement on aviation. "Whilst we don't support a no-deal Brexit, we welcome that both the UK and the EU are proposing in this event a minimum agreement that would cover flight and safety requirements for the benefit of both passenger and cargo services," he said. ADS Group, which represents the UK's aerospace, defence, security and space sectors, has called for Britain to remain a member of the European Aviation Safety Agency (EASA). It said talks should be held between the Civil Aviation Authority and the EASA to address the complex issues involved and ensure flights are not disrupted. The no deal notices the government published this afternoon will make uncomfortable reading for many businesses and consumers, but also for the government. In dry, technical language they make clear that many aspects of day-to-day life could be affected significantly if the UK leaves the EU with no deal at all, including air and coach travel (which could in theory come to a temporary halt) food labelling, driving in Europe for business or pleasure, and taking your pet across the Channel. The government argues that these warnings represent contingency planning for a worst case scenario, but until they can guarantee that a deal will be done, preparations will have to be made. And with time running out, people will have to start acting on some of the advice as soon as November. The prospect of a no deal Brexit is beginning to loom large. The guidance states that "replacement arrangements will be in place before exit day". The UK has already reached agreements with some of these countries and is "confident the remaining agreements will be agreed well in advance of the UK leaving the EU", the government said. A separate government document warned that UK passengers may have to undergo extra security screening when changing flights in the EU after Brexit. Neither passengers nor their luggage are usually rescanned when connecting at other EU airports after flying from the UK. However, new advice states that could change if the EU failed to recognise the UK's aviation security standards after Brexit.